La Cañada Commercial Center and El Corte Ingles (including Hipercor) will be open during the All Saint's Day (Dia Todos Santos) holiday. Most businesses close that day, so check the schedule of any other places you may visit. El Corte Ingles will have its usual opening hours from 10:00am until 10:00pm. La Cañada will also have its usual opening times. also open on Monday December 8th which is normally a holiday. La Canada will also be open on Monday December 8th which is normally a holiday. Please can you tell me which Sundays La Canada is open in December? You can always find the opening days and hours for El Corte Ingles Marbella department store throughout the year and during holidays on their website. 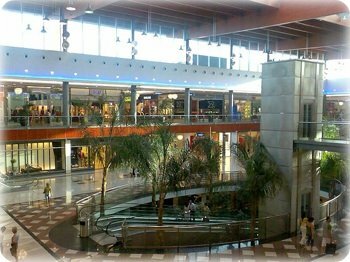 La Cañada shopping centre follows the same schedule as El Corte Ingles. Is the shopping center opened today? Is La Cañada open on Sunday 1st December? Are the La Canada shops open today, Sunday, Nov 10? I am sorry, El Corte Ingles will not be open that Sunday 22.9.2013. El Corte Ingles is closed on Sundays until December, when it will be open every Sunday for the holiday season. Is the mall open on sunday, 22.09.2013? 1. Yes, La Cañada is open on Sunday August 11 from 10:00am to 10:00pm. 2. Yes, the restaurants will be open too. 3. Yes, there are restaurants and fast food places at the airport. 4. You can get vegetarian options, such as salads at the airport, however, I do not know if there is halal food. 5. I would not count on the restaurants in the airport to be sensitive to any allergies. It is best to prepare and bring your own food in this case. Is La Canada open on Sunday 11th August? If yes, what times please? We are going to Marbella this Sunday the 11th August, will la canada be open then? Are there any other good places to eat near the airport? Preferably a place with good vegetarian food? Or halal (but not necessary)? Yes, La canada is now open on Sundays until the end of August. And yes, the summer sales are in full swing until end of August. Is la Canada open tomorrow Sunday ? Hi, are there sales this weekend? When are the shops be on sale? El Corte Ingles are open this Friday. is the centre open or closed this, Fri 29th March or open? El Corte Ingles and La Cañada are always closed on Sundays, with the exception of December, July and August. Sorry, everything is closed on Sundays now. Your best bet would be to try to find what you need at Opencor. Yes, shops will be open as usual now with the exception of January 1 when they will be closed. Is it open today? And for how long?